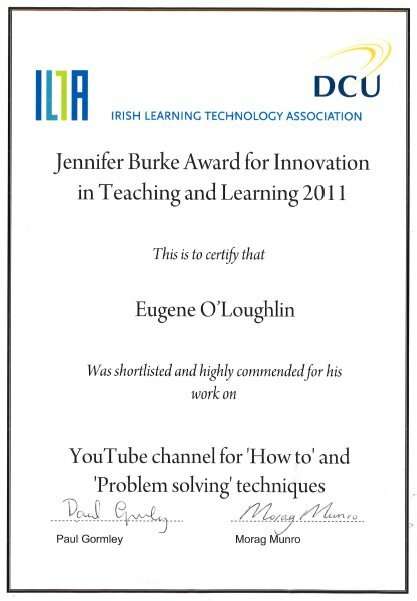 I had a very interesting and enjoyable afternoon yesterday at The Helix in DCU where I was one of five finalists for The Jennifer Burke Award for Innovation in Teaching and Learning, which is jointly presented by the Irish Learning Technologies Association and DCU. My entry was based on my YouTube Channel and my use of "How To..." and "Problem-Solving Techniques" videos. I had quite a job trying to convince the judges that this is innovative - but I hope that I did get my points across. The other entries were from RCSI, two from IT Tralee, and one from DIT. The winner was Dr Michael Seery from DIT for his work on creating pre-lecture resources for his first year chemistry students. 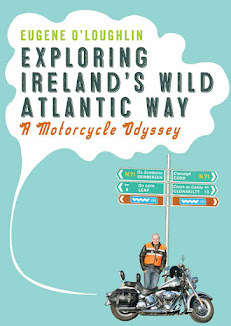 Congratulations to Mike - who was also on his way to picking up a copy his new book on the History of Enniskerry from the printers last evening! Though of course disappointed not to win, the feedback I and the other finalists got, inspires me to continue creating videos for my YouTube channel. The channel passed the 300,000 views milestone yesterday (I probably made a bit too much out of figures like this to the Award judges), and at the current rate of increase could hit half a million by the end of 2011. Thursday (14th April) last was the highest ever number of daily views when 1,400 people viewed my videos. While these numbers are very modest in the context of YouTube, I continue to be astonished that so many people from all over the world are viewing my videos and that (most importantly of all) they are learning something from them. 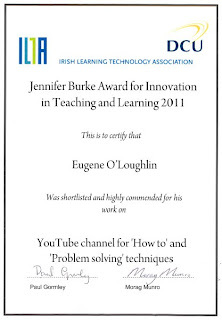 Well done Eugene, well deserved. I am definitely one of those 300,000 views! YouTube is a fantastic way to spread knowledge as well as entertain.